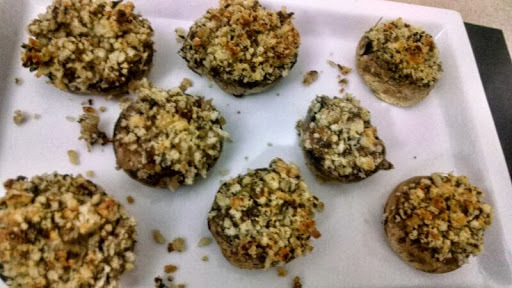 I first had these at florida when I met my brother and sister in law,My sister in law made these for the thanksgiving dinner and I absolutely loved those.Im sharing the same recipe with you. 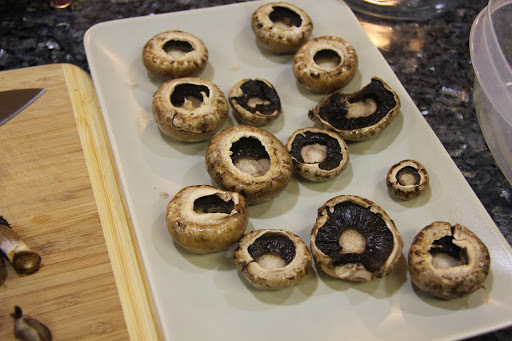 2.Remove the stems from the mushrooms and keep aside. 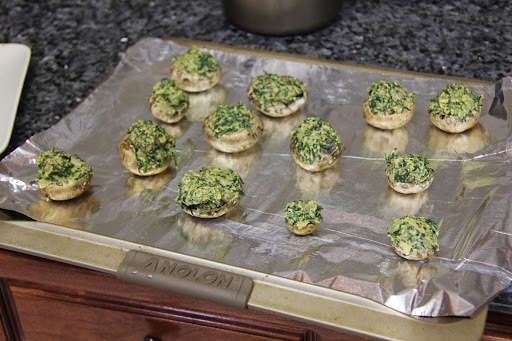 Lay the mushrooms with the hollow side up on a plate. 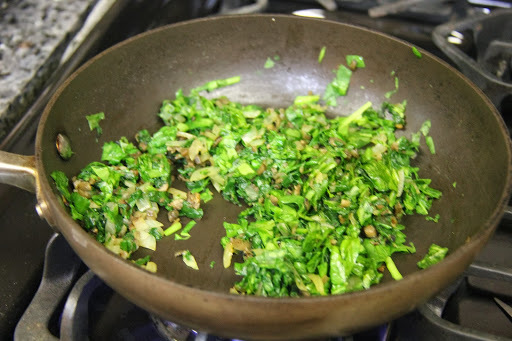 3.Chop the mushroom stems and saute them with the onions and garlic for 2 minutes.Add the chopped spinach and saute until soft. 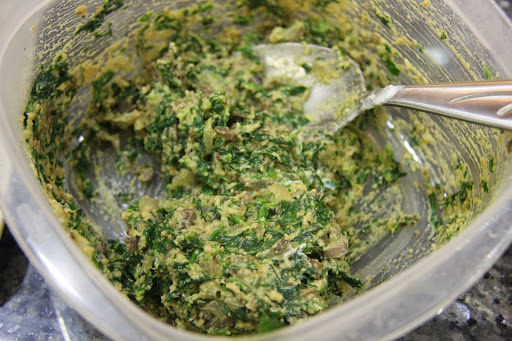 4.In a bowl take the spinach mixture, add the sour cream, bread crumbs,salt, sriracha and mix. 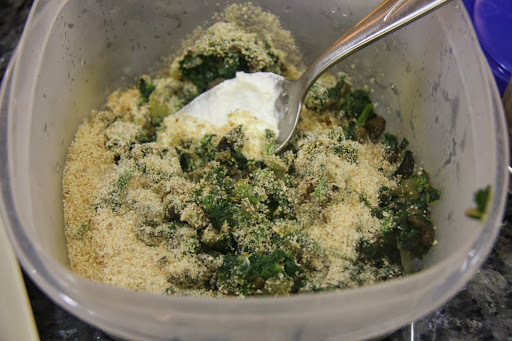 5.Place little mixture in each of the mushrooms and sprinkle little Parmesan cheese on top and bake in the oven for 20 minutes. Do not overbake or your mushrooms will get really dry. 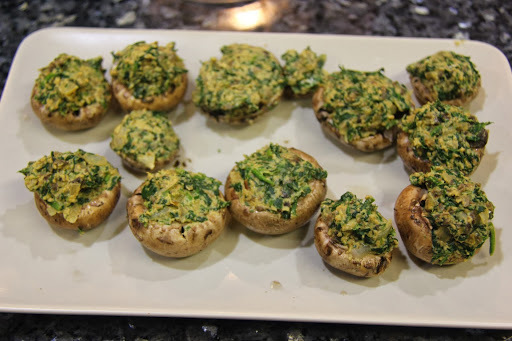 Use uniform sized mushrooms for them to cook equally.